David Williams with his wife Jackie. 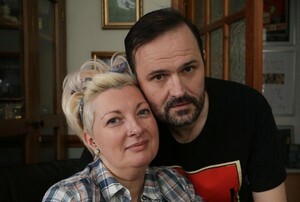 A HUSBAND and wife team are continuing their journey to help people suffering from chronic pain. David Williams, of Connah's Quay, has been raising funds with the hopes of opening a health centre in Flintshire after his wife, Jackie, was diagnosed with fibromyalgia. Fibromyalgia is a lifelong, incurable condition that causes constant pain throughout the body. They have organised another Rock Off Fibro, which is in its third year, and is encouraging people to attend and raise more funds for the cause. Mr Williams said: "We really need everyone's support to help make this event a great night. "Please come and give these fantastic bands the backing they deserve and help us raise awareness for those suffering from Fibromyalgia, PTSD, and depression."